Some of the cigarettes which were seized. A Northumberland shopkeeper has been sentenced after more than 27,000 illegal cigarettes were found at his home and shop. Joe Marshall Vincent, of Duns Road, Berwick, ran Premier Highfield Convenience Store in the town and was found storing tobacco products worth £9,345 in unpaid duty, an investigation by HM Revenue and Customs (HMRC) revealed. Part of the haul found at Vincent's home and shop. 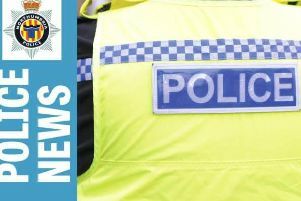 A total of 27,920 cigarettes and 6.6 kilos of hand-rolling tobacco was discovered when Northumbria Police officers visited his home and shop for an unrelated matter in April 2018. The illegal goods were seized by the police and the case was passed to HMRC for investigation. Vincent admitted excise fraud when he appeared before magistrates in December. On Tuesday, he was sentenced to 15 weeks in prison, suspended for 18 months; 200 hours of unpaid work to be complete within 18 months; and ordered to repay the full amount of unpaid duty; at Newcastle Crown Court. An HMRC spokesman said: “Vincent thought his stash of illegal goods would go unnoticed, but he was wrong. Trade in illegal tobacco takes money away from our public services and harms legitimate businesses.